Looking for a way to get involved? 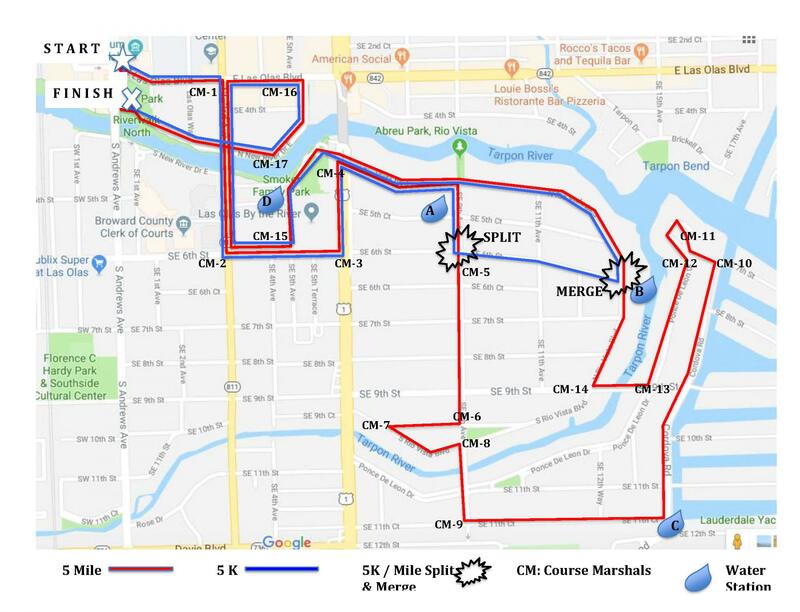 Want to help the Riverwalk Run be the best race in Fort Lauderdale? Join the fun and sign up to volunteer on Saturday, April 14th from 5:00am-10:00am. It will be early but worth it, and we invite you to take part in the post-race brunch. The Junior League of Greater Fort Lauderdale cannot produce this event without the many hours of help from volunteers! At this time, registration is closed. **Junior League members, please log-in to the Member site to register for volunteering. From I-95: Take the Broward Blvd Exit. Go East on Broward Blvd. Turn right onto Andrews Avenue. Turn Left onto East Las Olas Blvd. Huizenga Plaza is on the right. From US-1: Turn West onto Broward Blvd. Turn left onto Andrews Avenue. Turn Left onto East Las Olas Blvd. Huizenga Plaza is on the right. Parking is available at the city parking garage on SE 1st Avenue and SE 2nd Street. Parking is not complimentary. Cash and credit cards are accepted. Additional metered parking can be found on the street near Huizenga Plaza. We recommend you wear cool, comfortable clothes and running shoes. Be prepared for the early morning sun and bring sunscreen, a hat or visor, sunglasses, etc. New to the race? 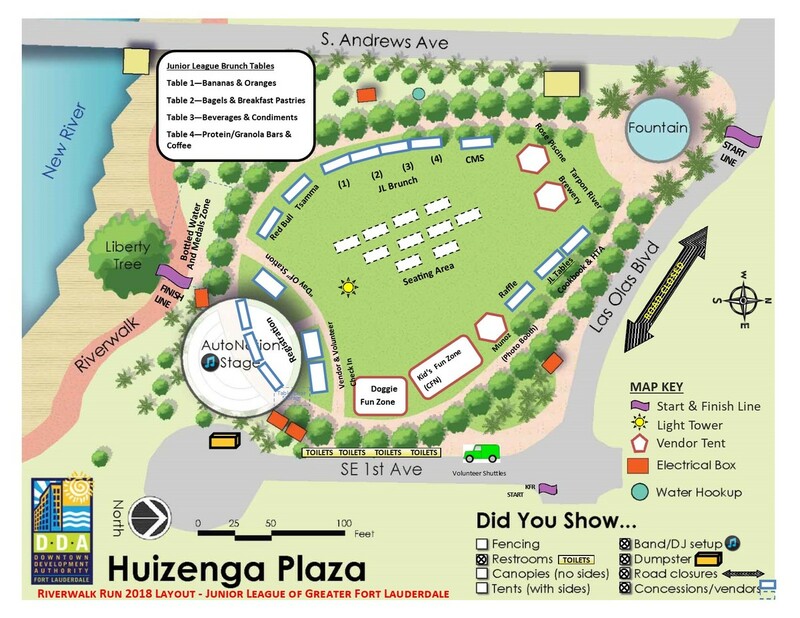 Check out these maps for information about the layout at Huizenga Plaza as well as the designated course routes for all distances. *Volunteers under 18 years of age must have a volunteer waiver signed by a parent or guardian. **Volunteers must be at least 16 years of age as of race day.